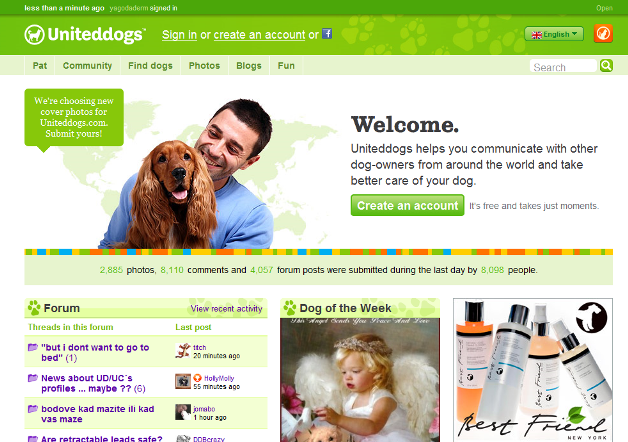 Estonia-based United Dogs and Cats, which operates two pet-specific community websites dubbed UnitedDogs.com and UnitedCats.com, has raised €480,000 in VC funding. The money comes from individual investor Raivo Hein, the state-owned Estonian Development Fund and Ambient Sound Investments, the investment group led by co-founders of Skype that had previously seeded the startup with €170,000 of funding back in April 2008. UDC first launched the two pet communities internationally about two years ago, and the nicely designed social networking services have quickly gained traction with cat and dog owners throughout Europe, in large part thanks to its localized nature with support for 16 languages. CEO Ragnar Sass says the total number of registered users has recently surpassed 200,000 and claims that the site is market leader in its respective segment for a number of European countries like Italy, France, Spain, Lithuania and Estonia. 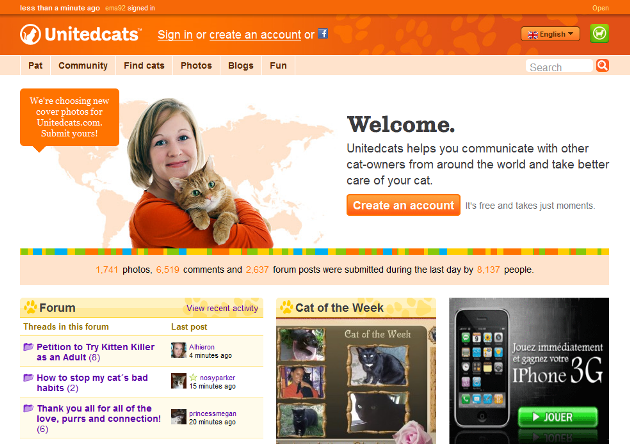 United Dogs and Cats makes money by selling advertisement placements to companies interested in reaching pet owners with related products, and by offering its members a number of paid features like the ability to upload more photos of their pets, access to more hand-crafted virtual gifts and a range of pet profile designs. Paying users also receive bonus points (like a virtual currency) every month, which they can use to send virtual gifts to other pets, etc. I asked co-founder Martin Tajur if UDC was inspired by the popular Dogster / Catster network sites based in the U.S., and he claimed they did not even know about the San Francisco company (which by the way, TechCrunch founder Michael Arrington is an investor in) when they launched the websites in Estonia.